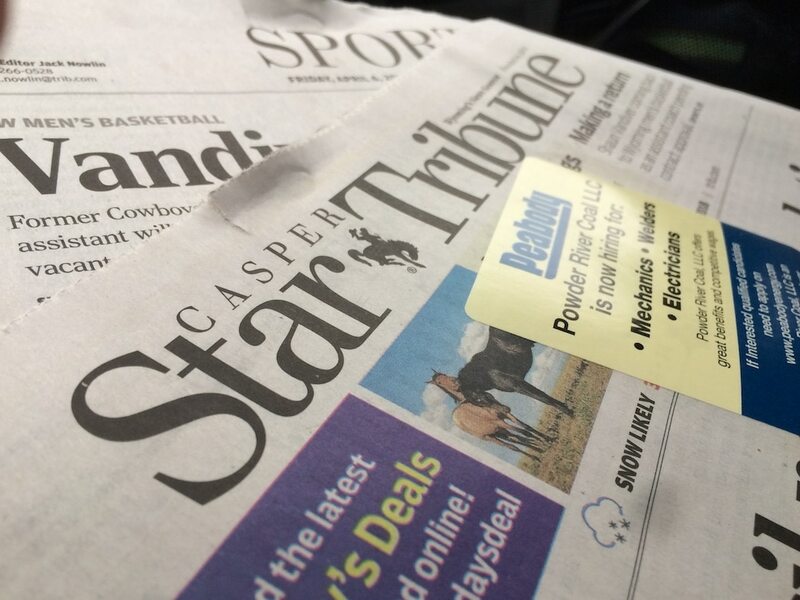 After Casper Star-Tribune owner Lee Enterprisers terminated an editor Wednesday — one recently named Wyoming’s Young Journalist of the Year — the paper’s guild said the move appears to be a union-busting intimidation tactic. The criticism comes on a day the company also terminated two employees on the newspaper’s business side and suspended a reporter with pay, WyoFile learned through independent sources. They spoke on the condition of anonymity in fear of retaliation. The events come five weeks after the newspaper’s staff voted to unionize in an effort to promote a more stable newsroom. The timing raised suspicions that the shakeup was not for the financial reasons stated by the paper’s publisher, a guild statement said. The three layoffs and suspension occur as employees at a sister paper — the Missoula Independent in Montana — get set to vote on unionization on April 6. An “out-of-state resources representative” called Elise Schmelzer, the Star-Tribune’s features editor, at 9:30 p.m. Wednesday to tell her she was being laid off, the News Guild, a union, said in a statement distributed on Twitter. Schmelzer won the Wyoming Press Association’s 2017 Young Journalist of the Year Award at the group’s recent annual convention. According to the Guild publisher Dale Bohren cited “financial” reasons for Schmelzer’s termination. Bohren and editor Joshua Wolfson did not return messages seeking comment by presstime Thursday. As an editor, Schmelzer was not a union member and did not participate in organizing the union, guild chairman Seth Klamann, the newspaper’s education and health reporter said. As a management employee, she was not eligible to join, or be protected by, the guild. The reporter who was suspended Thursday had written an internal staff email about Schmelzer’s termination that morning, WyoFile learned from independent sources. That reporter was told to leave the building and surrender keys. One of the employees who was laid off Thursday had replied to the building-wide email about Schmelzer’s termination, a source said. The guild questioned the motives behind Lee Enterprise’s move. Schmelzer was part of a tight-knit group of about four employees who had schooled together and matured in the newsroom crucible, Klamann said, speaking for himself. Her firing is a loss for the Star-Tribune,” the guild statement said. “It is a loss for our readers, for the state, for the region and for the industry,” the guild said, highlighting a recent Schmelzer story about domestic violence in rural Wyoming. This looks pretty despicable for any employer to behave this way … I am currently a subscriber at work, but we have been wondering recently why we keep getting the paper in Cheyenne, given the cost. I think the writing is very good, but looking at how they firing their award winning folks in apparent retaliation makes me think they aren’t a company we should be supporting. The Casper Guild folks need to immediately file Unfair Labor Practice charges against Lee Newspapers. The National Labor Relations Board has not yet been gutted by Trump, so see what you can do about this criminal syndicate. Staying alive in the current media environment should be a collective effort. 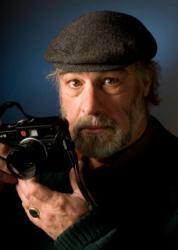 Davenport needs the goodwill of its editorial staff, readers and advertisers to remain viable. Union busting seems to be a knee jerk response whether it’s good for the organization or not. Elise Schmelzer will be sorely missed by this current CST subscriber. The Denver Post should be lesson enough. And there’s the recent group-think message from the Sinclair news group. Unions are an answer, I have no doubt. But the chances of success in Wyoming are not very high. Liz Cheney was right when she said local newspapers were dying but she was wrong when she said this was a good thing. If it walks like a union buster, squawks like a union buster, and it’s a Right To Work state , it must be union busting. I see no other explanation that fits the facts here. Having said that , I wonder if Corporate back there in Davenport Iowa really understands the positive/negative value of publicity when they are ton the receiving end of it ? Having a story like this out there, and not of their sourcing but which casts the company in general and Star Tribune in particular into the shade , cannot be good for their stock price and bottom line. Speaking of which , years ago when Lee bought the Star Tribune and its sister paper the Billings (MT) Gazatte , which had been competitors but were suddenly bedfellows , a share of Lee Enter[prises stock was worth $ 45.00 . Employees were given stock options. Yesterday , Lee was trading at $ 2.05 per share. At one point in recent times it fell below $ 1.00 per share and was threatened with ( or actually did get) removal from the New York Stock Exchange and downrated to junk. Not good. Just because Lee was able to buy the prestigious Pulitzer chain of papers, and now owns 46 newspapers , doesn’t guarantee they will run them successfully , let alone profitably. Why would anyone invest ? Thanks for reporting on this – in many ways, the reporting by the Casper Star Tribune is, collectively, the best it has been in years. Dale Bohren is a good guy. Its unfortunate that he has to do the bidding of Iowa-based Lee Enterprises. Its under their ownership that the CST lost many really fine reporters…Pelzer, Fugleberg, Bleizeffer, Storrow, Merrill, Hancock to name just a few.